Formerly known Nylatron® LFG now becomes Nylatron® SLG PA6. Quadrant's well-established Nylatron® LFG brand ("Lubricated Food Grade") will continue under the new Nylatron® SLG PA6 ("Self-Lubricated Grade") product name in Europe. The change is based on the increasingly frequent confusion concerning the Quadrant "Food Grades" group of products. This group, which has meanwhile become well-known under the abbreviation "FG", has been specifically developed to meet the requirements of the EU Directive 10/2011. However, Quadrant's Nylatron® LFG does not belong to this group, it does not meet the EU 10/2011 standard in Europe nor does its European formulation have an FDA approval. To avoid any further market confusion, Quadrant has finally decided to change the brand name. The formulation and properties of Nylatron® SLG PA6 will remain unchanged. The standard product color is blue. 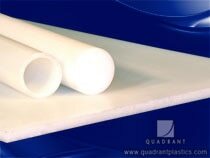 To find out more about Quadrant EPP and Nylatron® SLG PA6 please contact your local Quadrant representative or visit www.quadrantplastics.com. Nylatron® is a registered trademark of the Quadrant Group.